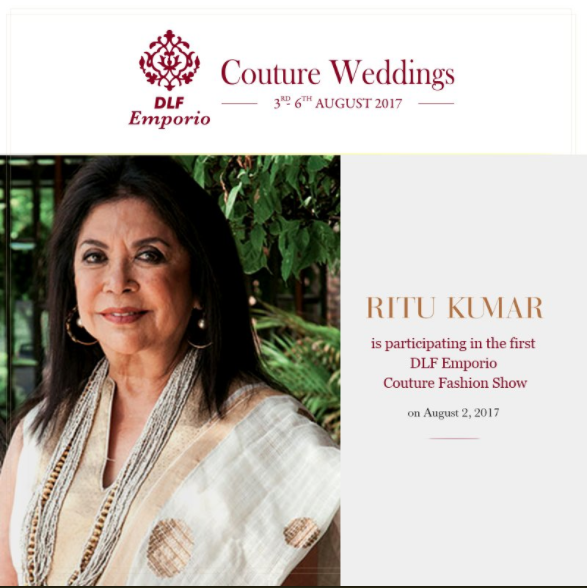 Ritu Kumar, the designer who is a very famous for her handloom fashion in India talks about the current generation’s knowledge in understanding fabric. Ace designer Ritu Kumar, who has been an epitome of handloom fashion in India, says that the current generation of Indian youth definitely understands fabric but the only thing they do not understand is that why “it needs to be complicated”. “We tried and tested handful of youths and their fashion taste. They loved the fabric but it’s the styling that they want now. “They definitely want shoulders, easy kind of silhouettes and even if they are going for the party, they want to underplay rather overplay lots of things, which is why textiles is perfect for them,” Kumar told IANS. “They love handloom as long as they don’t have to wear saris. If you can style it in a way that they look fun and easy, the youth are game for it. “The Indian generation today quite appreciate and understand fabrics but what they don’t understand is why it should be uncomfortable,” she added. Label Ritu Kumar unveiled its Spring/Summer 17 collection, at the Lakme Fashion Week (LFW) Winter/Festive 2017 here on Wednesday. Label Ritu Kumar’s theme for the season “Sweet Surrender”, was inspired by the 18th century French marquise fashion juxtaposed with a deliberate deshabill look of the 1980s, in with soft pastel colour tones and bold tropical prints. Some of the outfits that were part of the show were signature shirt-dresses, asymmetrical tops, short dresses and off-shoulder tops. Easy fabrics like chambray, schiffly and tulle dominate the collection, with ruffles and frills adding a delicate femininity to the line. Actress Disha Patani turned showstopper for the brand in a strapless corset bodice dress with an asymmetric hem. Made with sheer organza, the dress was embellished with romantic floral thread work and metallic chains. Kumar also feels that the youth of today have become more casual in terms of choosing fashion. “There are options available to them from the casual part of the world which are more high street. They are neither India-based nor do they get any source out of India, so I really want to do collection which they can communicate with,” she said.